UPDATED: Bank Holiday bargains at Best Buy opening in Enfield | What Hi-Fi? 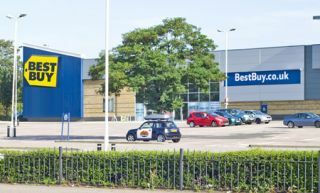 Best Buy will mark the opening of its new Enfield store this Friday (August 26th) with a host of Bank Holiday bargains. The store will open at 9am, and shoppers will be able to jump on board a custom-built double decker bus with a 3D cinema inside. There'll also be DJs, refreshments and face painting on hand throughout the four-day event. Special deals on offer will include half price home cinema systems, and the first 100 people in the queue each day get the chance to win a £500 gift card. Check out the Best Buy Enfield website for full details.